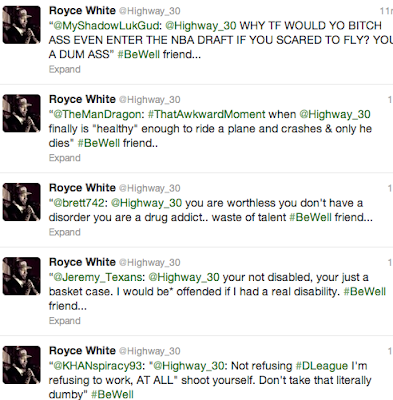 If you haven't been following one of the muddier stories in sports, @Highway_30 is the Twitter handle for Houston Rockets rookie forward Royce White. But to call White an NBA rookie or a Houston Rocket is starting to become a stretch. Despite being a 1st round selection and guaranteed $3.4M for his first two years, he has not played a minute. He has not been with the team and refused a D-League assignment. And today he was suspended by the team. This is not your standard-issue contract holdout, or suspension for a violation of team rules. 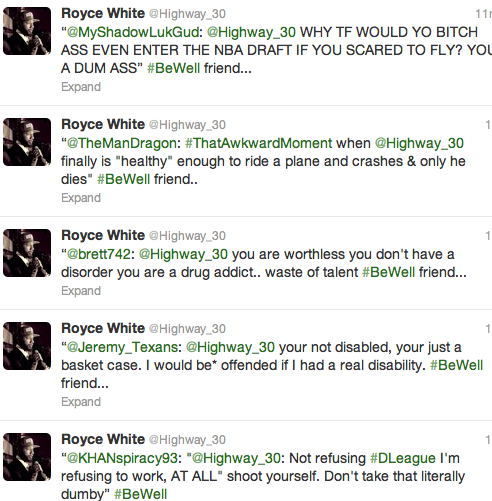 White has been suspended for "refusing to provide services" to his employer, the Houston Rockets. White has an anxiety disorder, which includes a fear of flying. He claims to be working with the Rockets to come to an arrangement by which he could be a member of the team as well as tend to his mental health. The team appears to be ready to work with him, but it is White himself who can't commit. White has a lot to say on mental health, including the Newtown shootings. He is making all of us think outside the box on the issue. He is an artist, a poet, a spokesman. But every day he becomes more at risk of not being a professional basketball player. And that's why the hatred on Twitter. Like the Dixie Chicks were once told to "Shut up and sing," the response to White is "shut up and play." But White is adamant about raising questions, not dropping them. White's music career may indeed be successful, and he may have a national voice on the issues on Oprah or some other platform. But a career in the NBA is looking less and less likely. 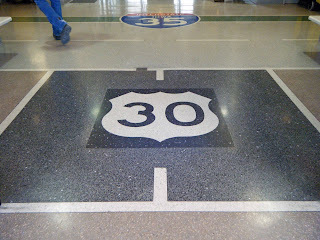 Highway 30 doesn't necessarily connect Point A and Point B.